The recent AAPB Conference in Chicago was fabulous! Thank you Dave Siever of Mind Alive for the invitation to speak and to share my experience working with trauma this last summer at the Calais Jungle refugee camp. There was some very exciting new research on the amelioration of amyloid plaque using gamma wave training… I’ll be sharing this in my seminar this coming summer at the Vintage House on “The Aging Brain”. Sloan Johnson and Pacific Neurotherapies are excited to be continuing work on equipment that will be sold in the US and also sent (at no charge) to refugee camps to address trauma. Sloan originally developed this equipment to take with her when she spent time at the Calais Jungle refugee settlement in July and August of 2016. This equipment turned out to be very helpful in calming brain and central nervous system and allowing refugees to take a much needed break from their persistent trauma. Pacific Neurotherapies was founded in 2004 by Sloan Johnson. Sloan’s background is in the whole systems, functional medicine approach to health care. As a practitioner she employs a wide repertory of neurofeedback and other modalities in accordance with the individual needs of her clients. She has a keen interest in the relationship between physiology, the brain, and quality of life. She has a great interest in helping to address quality of life issues with sustainable tools/methods, a sort of “physiological permaculture” (intended to be sustainable and self-sufficient). She has studied various methods in Neurofeedback since 2001. She has had the great fortune to study with many of the masters and pioneers of the field. She is a longtime member of Homecoming For Veterans providing neurofeedback sessions free of charge to returning veterans. She ran the Chorten Gonpa Monastery Free Clinic in Gangtok, Sikkim, for a decade. In 2016 she developed equipment to take and treat the large refugee population in Europe. 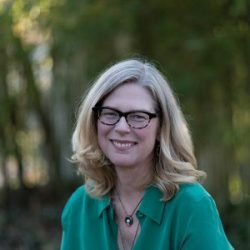 She has been asked, and has contributed to peer reviewed published research studies, books, and has co–authored the Parents Guide to Brain Health for a Peninsula–based School system, the guide can be applied to people of all ages! Sloan attends Hampshire College, then Northwestern University. She begins to gain an interest in health care while researching and addressing her own “general health issues”. Attends many health seminars with Dr. Datis Kharrazian, Dr. Jeffrey Bland and others. Attends many Neurofeedback seminars at conferences such as the BIA, ISNR, AAPB, etc., with Jay Gunkelman, Dave Siever, The Othmers, Chuck Davis, Victoria Ibric, etc. Moves Pacific Neurotherapies to the Lapis Light Natural Health Office in Sausalito. Runs satellite office for Lapis Light Natural Health in Hong Kong. Adds the Othmer Ultra Low Frequency Protocols. Attends Seminars at STENS in QEEG. Experiments with many other brain and central nervous system “tools” including BioCircuits, Shakti Coils, nIR HEG. Coauthors The Parent’s Guide to Brain Health. Develops equipment for treating trauma in remote or inconvenient places such as refugee camps. Starts “Help Refugee Trauma/Sharing My Resources”. Travels with equipment to the Calais Jungle Refugee Settlement in France to treat trauma for the Summer. Moves Pacific Neurotherapies to Glen Ellen, CA.